Sony very confidently said that their current devices were not up to the class set by Samsung and Apple with their latest flagship devices, but vowed in the coming months to rectify that and put Sony back on the phone map. Three months on, Sony have taken the first steps to creating a smartphone that will deliver where the previous failed. Sony have always been good hardware and camera developers, so they have a good amount going for them if they can get software and promotion right. Xperia Z is the newest Sony flagship device and has been shown off at Sony’s CES press conference earlier today. While the phone does bare a lot similar performance features many Android phones have today, it does show some promise of being different from the bunch. 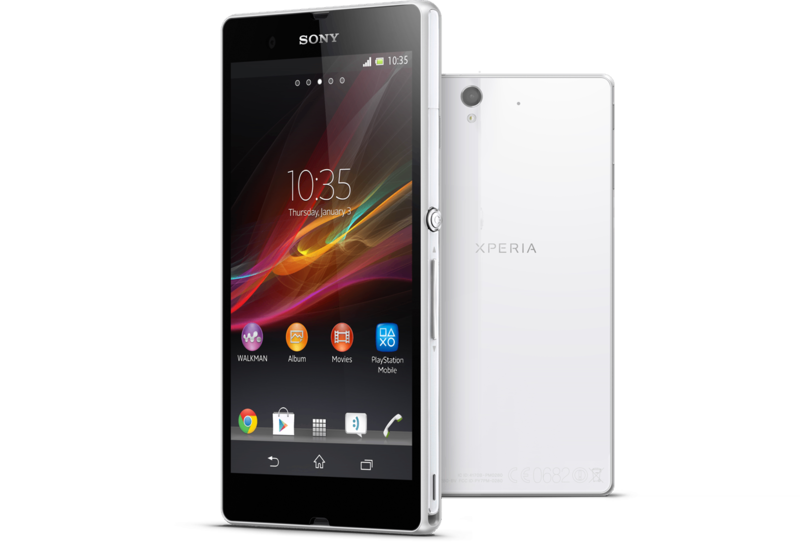 The Xperia Z is powered by the 1.5GHz quad-core Snapdragon S4 Pro processor, with 2GB’s of RAM to smooth the processing along. Both of these features are top tier, but are starting to get a little stale. Hopefully with the Tegra 4 processor just being released, we will see smartphone developers change the insides up a bit. With a 5-inch screen and full HD display, at 1,920 x 1,080 resolution, we see Sony have not let any cracks be seen on their flagship device. HTC were the first to bring a full HD phone to market, but plenty of other manufacturers are keeping pace, we are glad to see Sony are one of them. Sony are also adding a 13MP camera to the Xperia Z. Most 13MP phone cameras we have tested have been sub-par, with the large amount of megapixels taking away the image quality because of poor sensors. Hopefully Sony will be able to bring a phone camera to market with 13MP that works as well as an 8MP one would. There are a few new features coming to the Xperia Z too, including a battery mode called STAMINA. According to Sony, this mode allows your phone to save up to four times as much battery while on standby. The phone is water and dust resistant too. Android 4.1 will be shipping with the Xperia Z and Sony will bring Jelly Bean 4.2 to the phone straight away on an over the air update. Sony are also updating all their previous models to Android 4.1 in the coming months.